Beta 1 of our email components switched from the TLS 1.0 to TLS 1.2 protocol. Beta 2 allows both protocols to be used via the new property TLSVersion, which is "1.2" by default but can be set to "1.0". Also, the EmailAgent.NET configuration panel is now equipped with a drop-down box with the options "No TLS", "TLS 1.0" and "TLS 1.2" instead of a simple TLS on/off checkbox. For more information, please visit www.aspemail.com. The content extraction functionality of the PdfPage.ExtractText method has been significantly overhauled. A bug has been discovered that caused ligatures, or codes denoting multiple letters such as "ff", "ffl", "ffi", "1/2", and others, to be extracted incorrectly. Only the first character of a ligature would be extracted, while the rest of the characters would not. This serious bug has now been fixed. If you are using AspPDF.NET's content extraction functionality in your apps, you should upgrade to the latest version without delay. AspPDF Only: A class of documents has been discovered that would cause the ExtractText method to crash due to a bug. This bug has now been fixed. AspPDF.NET Only: A rare class of documents has been discovered that would cause the PdfPage.ToImage method to crash. This bug has now been fixed. AspPDF.NET Only: The PDF-to-Image functionality implemented by the PdfPreview object relies on the .NET System.Drawing.Imaging namespace not available in .NET Core. To enable the PdfPreview object to be used in the .NET Core environment, the methods SaveCore, SaveHttpCore and SaveToMemoryCore have been added to it. These methods provide the same functionality as Save, SaveHttp and SaveToMemory, respectively, and are not reliant on the System.Drawing.Imaging objects. However, the only output image format supported by these new methods is PNG. For more information, please visit www.asppdf.com and www.asppdf.net. •et; Version 1.0 of the Transport Layer Security protocol relies heavily on the MD5 hash algorithm, which has been cracked and is currently considered insecure. It contains other vulnerabilities as well. In anticipation of TLS 1.0's eventual decommission by all major SMTP providers, we are releasing Version 5.5 of AspEmail and AspEmail.NET, which replaces TLS 1.0 with TLS 1.2 - a more secure protocol which is based on SHA256 and 128-bit and 256-bit AES. •et; Also, the EncoderHeader method has been fixed to enable 4-byte Unicode characters such as emojis in message subjects. To download the beta versions, please visit http://www.aspemail.com/whatsnew.html. Some malformed PDF documents generate the error "endstream not found" when being stitched or converted to an image. The new version makes an attempt to recover from this error and only throws an exception as a last resort. Some corrupt PDF documents generate the error "PDF file signature not found" when opened. The new version makes an attempt to recover from this error and only throws an exception as a last resort. Certain PDF documents may throw the exception complaining about an unknown segment type in a JBIG2 stream during PDF-to-Image conversion. The new version no longer throws this exception and proceeds with the conversion normally. A bug in the PDF-to-Image module responsible for incorrectly rendering dashed lines under certain conditions has been fixed. When a document is digitally signed, annotated, and then signed again, the warning "Annotation modified" appears in Adobe Reader. The new version fixes this deficiency. A bug responsible for incorrectly rendering certain rare TIFF images has been fixed. A NuGet package containing the AspPDF.NET assembly is now available so that AspPDF.NET can be easily referenced in your .NET Core 2.0 projects. When encrypting a file with a size divisible by 160,000, AspEncrypt would throw the error "More data is available." when using an AES key. This bug has now been fixed. Other ciphers are not affected by the bug. 160,000 is the length of an internal buffer used by AspEncrypt. Also the new version adds two new properties to the CryptoCert object: IssuerAltName and SubjectAltName. To download the new version, please visit www.aspencrypt.com. AspJpeg.NET, the native .NET version of AspJpeg, is now officially released. It has been successfully tested with .NET Core 2.0. The NuGet package for .NET Core projects is available for downloading along with the standard installer application. To download the evaluation version of AspJpeg.NET, please visit its dedicated web site at www.aspjpeg.net. A class of mal-formed PDF documents has emerged that cause the error End of file reached during document stitching. This problem has now been fixed for this class of documents. A bug causing a crash in the SetFieldValue method with some rare PDF forms has been fixed. A bug causing some page content to disappear during PDF-to-Image conversion in some PDFs has been fixed. A bug causing text characters to appear as boxes during PDF-to-Image conversion in some PDFs has been fixed. A bug causing checkboxes and possibly other form items to disappear during PDF-to-Image conversion in some rare PDF forms has been fixed. In response to your numerous requests, we have released the native .NET version of our popular image-management component, AspJpeg. Functionality-wise, the new product, aptly named AspJpeg.NET, is almost identical to AspJpeg, but differs from it slightly in the object model and implementation of certain features. AspJpeg.NET has its own dedicated web site with its own user manual, object reference and live demo sections. The web site's address is, predictably, www.aspjpeg.net. AspJpeg.NET is now in beta. For more information, and to download the free evaluation version, please visit www.aspjpeg.net. We are standing by for your questions and problem reports. Support for transparent TIFF images has been added. Previous versions only supported PNG transparency. The PdfDocument.ImportInfo property has been enhanced to return the horizontal extent of the HTML content. In previous versions, only the vertical extent was available. Several bugs have been fixed in the PdfAnnot.SetFieldValue and PdfAnnot.SetFieldValueEx methods. A serious bug causing the 64-bit version of AspPDF to crash during the PDF-to-Image conversion of documents that use radial shading has been fixed. A number of other minor bugs in various modules have been fixed. In response to your requests, we have added the ability to set and modify EXIF tags in a JPEG image. The new method ChangeExifTag allows you to assign any EXIF tag, such as Artist, Image Unique ID, or GPS coordinates, to an image even if the image had no EXIF data block to begin with. This functionality is described in detail in Section 7.8 - EXIF Editing of the AspJpeg User Manual. It is also demonstrated by Live Demo #9. We have also added the method ApplyOrientation which rotates and/or flips the image based on the embedded EXIF tag Orientation, and then resets this tag to the default value of 1. This makes the image viewable in a consistent manner across all image viewers and platforms. For more info, see Section 7.8 - EXIF Editing, sub-section 7.8.2. Finally, AspJpeg is now capable of saving images in BMP format, in addition to JPEG, PNG and GIF. Set the new property OutputFormat to 2 to save an image as a bitmap. In response to our clients' numerous support questions, we have added a new chapter to our user manual dedicated to the cipher key compatibility between AspEncrypt and the Microsoft .NET framework. Both AspEncrypt and .NET use standard ciphers, but mismatching keys may wreak havoc in an otherwise perfectly coded cryptography-based application. Chapter 10: Microsoft .NET and AspEncrypt Compatibility covers the GenerateKeyFromPassword and ImportRawKey methods and their .NET equivalents in various scenarios, UTF8 vs. Unicode character encoding, and also legacy-related issues, such as using the MD5 hash with 3DES cipher, and 40-bit RC2 keys. A new type of annotation, screen, has been added to support embedded videos. Support for TLS 1.2 has beed added to the ImportFromUrl method. A number of fixes have been made to the PDF-to-Image functionality to address various exceptions, incorrect rendering, and stack overflow conditions caused by certain unusual PDF documents. The service releases provide an improved handling of Chinese/Japanese/Korean characters in the HTML-to-PDF modules, and better support for label printers. For more information about these new enhancements, please visit www.asppdf.com and www.asppdf.net. The new version of our image management component allows an image to be stretched onto an arbitrary 3D surface such as a sphere, plane, cylinder, cone, etc. via a new PdfCanvas.DrawImageUV method. This feature is useful, among other things, for creating the images of promotional items such as coffee mugs, baseball caps, pens, etc. with custom logos or photographs wrapped around them in a realistic way. Click here for more information about this new feature. The PDF-to-Image functionality has been optimized to improve performance and reduce memory footprint. Form flattening has been improved to handle forms with unusual coordinate transformation matrices. A serious bug in the CreateGraphicsFromPage method introduced in a previous service release has been fixed. Other minor improvements in the HTML-to-PDF, Image-to-PDF and other modules have been made. The latest versions of AspPDF and AspPDF.NET can be downloaded from www.asppdf.com and www.asppdf.net. A bug causing the AddAttachmentMem method to crash when too long a filename is specified has been fixed. This bug only affected AspEmail and not AspEmail.NET. A multithreading-related bug in EmailAgent.NET causing the incorrect handling of queued messages under the DNS Relay mode has been fixed. This bug only affected EmailAgent.NET and not EmailAgent. The latest versions of AspEmail and AspEmail.NET can be downloaded from www.aspemail.com. AspPDF's and AspPDF.NET's digital signing functionality required that the PDF document being signed and the digital certificate used for signing be both accessible to the PdfDocument.Sign method. In most cases, this meant the private key had to be transferred to the server, which is often impossible or impractical for security reasons. As of AspPDF & AspPDF.NET v3.4, and also AspEncrypt v2.9, the PDF being signed and the signer certificate's private key no longer need to physically meet. The PDF never has to leave the sever, and the private key never needs to leave the user's workstation. Instead, the hash value being signed and the signature itself do all the travelling. Please download the new versions from www.asppdf.com, www.asppdf.net and www.aspencrypt.com. Version 3.3 enables the creation of PDF/A-compliant documents. It also implements a fix in its PDF-to-Image module to improve performance. The PDF/A format is a subset of the regular PDF format with certain features, deemed incompatible with long-term archival and storage of documents, removed. Several enhancements and fixes have been added to AspPDF, as well as a new method, PdfDocument.AddOutputIntent, to bring the documents it creates to the PDF/A-1b compliance level. Please download the new versions from www.asppdf.com and www.asppdf.net. 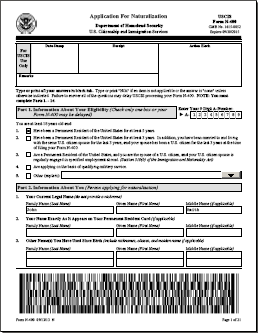 Some US government agencies such as the USCIS have started using barcode-equipped forms which allow a processing clerk to transfer the content of a paper form to the computer system instantly by scanning a 2-dimensional barcode residing on each page of the form and encoding the form's field data. AspPDF and AspPDF.NET now have the capability to programmatically fill out these forms and generate the PDF417 barcodes in strict accordance with the government specifications. Also, it has been pointed out by some of our clients that the AppendDocument method may take a very long time when dozens or hundreds of documents are stitched together, and the processing time seems to grow quadratically with the number of documents being appended. This serious performance problem has been identified and fixed. The new versions of our PDF components offer support for template graphics which simplify the creation of PDF documents based on templates as opposed to blank pages. The updates also incorporate important fixes in the HTML-to-PDF, form fill-in and other modules. The new versions of our PDF components provide support for transparency. A new object, PdfGState, has been added to the object models to represent a graphics state and transparency group, and new chapters dedicated to various aspects of the PDF transparency model have been added to the user manuals. Also, the new versions enhance the SendToPrinter method to enable documents to be printed in color on color printers. Our email components have received yet another security-related feature: support for Secure Socket Layer (SSL) over Port 465. An email client can communicate with the SMTP server over a secure channel either via TLS (ports 25 or 587) or SSL (port 465). In both cases, the underlying secure protocol is exactly the same, but it is invoked at different stages of the SMTP session -- SSL begins at the very beginning and TLS in the middle of the session. AspEmail and AspEmail.NET have supported TLS since version 5.1, and now they support SSL too. Please download the new versions from www.aspemail.com. Adobe XFA support has been added to the form fill-in functionality. Page breaking has been added to the OpenUrl method. A bug causing password authentication failure with some PDF documents has been fixed. Various other bugs in PDF-to-Image and HTML-to-PDF modules have been fixed. The products' HTML-to-PDF functionality has been expanded. In addition to the ImportFromUrl method, which uses our in-house HTML-to-PDF conversion engine, there is now the OpenUrl method which uses Microsoft Internet Explorer's HTML rendering engine. This enables your application to create precise, albeit rasterized, snapshots of any HTML document, no matter how complex. The PdfPage object now supports the TrimBox and BleedBox properties in addition to the existing MediaBox and CropBox properties. The ability to select a tray has been added to the SendToPrinter method. Several major bugs have been fixed in the text extraction module. Various minor bugs have been fixed in the HTML-to-PDF, image and other modules. Handshake type 13 not supported. This error would occur under the TLS mode with SMTP servers requesting a client certificate but not requiring one, such as, most notably, Microsoft Exchange Online (smtp.office365.com). This important enhancement is incorporated in the service releases AspEmail 5.3.0.3 and AspEmail.NET 5.3.0.3521. The upgrades are available free of charge to the registered users. Please download the new versions from www.aspemail.com. The AspPDF 2.8.0.1 and AspPDF.NET 2.8.0.29124 service releases incorporate several crucial fixes and enhancements in the page-management, PDF-to-Image, document-stitching and other modules. Also, AspPDF now uses a newer, much more robust version of the zlib library for its Flate decompression needs. The new version expands the existing raw text extraction functionality by allowing the text fragments extracted from a page to be accompanied by their respective coordinates and dimensions. This allows you to know where exactly a particular text string or string fragment is on the page. This feature is implemented via the PdfPreview object's new TextItems collection. Also, the HTML-to-PDF conversion module has been enhanced to add support for borders with rounded corners defined by CSS properties border-radius, border-top-left-radius, border-top-right-radius, border-bottom-left-radius and border-bottom-right-radius. Our old logo, designed back in 1999, has served us well over the years, and we will always remember it fondly. But we thought our company needed something a bit more modern-looking, so we had a new logo created, and while we were at it, had our corporate web site redesigned as well. Persits Software's corporate image may look and feel a bit different now, but our dedication to quality in the products we build and technical support we provide remains the same as ever! Versions 2.7 of our PDF management components offer full document printing with duplex support. Previous versions could only print invidual pages in a one-sided mode. The new versions also make it possible for color spaces other than RGB and CMYK to be used with the PdfTable object. Previous versions only allowed tables to use the RGB color space. Please download the new versions of AspPDF and AspPDF.NET from here and	here. We are happy to announce that PDF-to-Image conversion, a feature AspPDF.NET has been noticeably lacking up to now, is finally here (in beta), and available for public testing. With the newly added PdfPreview object, AspPDF.NET is now fully on par with its classic-ASP sibling, AspPDF, and even somewhat exceeds it as it can save images not only in PNG format but also JPEG, GIF and BMP. Please download the new version from www.asppdf.net/download.html. A new AspPDF service release is also available with many important fixes and enhancements. Please download it from www.asppdf.com/download.html. The new version of AspPDF.NET makes the PdfDocument object implement the IDisposable interface. In addition to that, many major improvements have been incorporated in this release, including the fixes for a bug responsible for the error HTML rendering error: cannot obtain font "", a bug in the SaveHttp method causing Google Chrome to hang, and various other bugs of lesser importance. The new version offers the method FlattenAlpha which greatly simplifies the conversion of PNG images with alpha channels to JPEG format. It also adds support for TIFF images with JPEG compression and also TIFF images with a non-standard Planar Configuration tag. Please download the new version from www.aspjpeg.com/download.html. The new releases incorporate major enhancements in the form fill-in modules of the components. A "fontless" version of the SetFieldValue method, called SetFieldValueEx, has been added to the PdfAnnot object. This method does not require a font argument, which simplifies the coding of filling in a PDF form. Also, form flattening has been implemented via the PdfForm method Flatten. The existing SetFieldValue method has been greatly enhanced as well - it now supports auto-size fields and Unicode characters in field values. Please download the new versions from www.asppdf.com/download.html and www.asppdf.net/download.html. This unscheduled release addresses a crash occurring in the 64-bit version of AspPDF running on 64-bit Windows 8 and Windows 2012 (IIS 8). The bug fixed by this release only affects the 64-bit version of AspPDF, and seems to only manifest itself on Windows 8/2012 but not earlier 64-bit versions of Windows such as 2003, 2008 and 7. Please download the fix from www.asppdf.com/download.html. Support for a variety of color spaces has been added, namely DeviceGray, CalRGB, CalGray, Lab, ICCBased, Indexed, Separation and DeviceN. Previous versions only supported the DeviceRGB and DeviceCMYK color spaces. Two new objects, PdfColorSpace and PdfFunction, have been added to the AspPDF and AspPDF.NET object models to represent color spaces and their supplementary tools, transformation functions. For more information, and to download the latest versions, visit www.asppdf.com and www.asppdf.net. Support for PDF forms' image fields via the new method PdfAnnot.SetFieldImage. Support for Intelligent Mail Code barcode recently adopted by the US Postal Service. Support for local anchors such as <A NAME="Destination"> and <A HREF="#Destination"> in the HTML-to-PDF module. The new version of our image management component implements several common image filters, including Gaussian blur, contrast, brightness, edge detection and others, via the method ApplyFilter. It also implements a background removal effect, known as "chroma key", via the method DrawImageChromaKey. For more information on these new features, see sections 8.6 and 8.7 of the AspJpeg user manual. AspJpeg 2.6 can be downloaded from www.aspjpeg.com/download.html. Upgrading is free for registered users. AspEmail.NET 5.3.0.3127 and AspPDF.NET 2.1.0.15816 service releases make these native .NET components visible to COM. From now on, AspEmail.NET and AspPDF.NET components can be used in a classic ASP environment, or any other environment supporting COM. For more information on how to use these components from ASP, see our KB support article PS121023186. The latest version of AspEmail.NET is available here, and AspPDF.NET here. A new AspPDF service release fixing several minor and medium-level bugs in our classic-ASP PDF component is now available as well and can be downloaded here. The new versions enable another document's pages to be drawn on this document. The new PdfDocument method CreateGraphicsFromPage creates an instance of the PdfGraphics object from another document's page which can then be drawn on this document at an arbitrary location or locations, with scaling and rotation applied if necessary. For more information about this feature, see AspPDF's user manual section 9.6 and AspPDF.NET's user manual section 9.6. Upgrading is free for registered users. 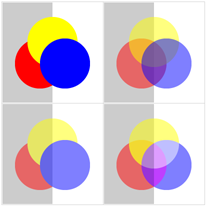 AspJpeg 2.5 allows an image to be stretched into an arbitrary quadrilateral area defined by its four corners. This feature enables you to create a perspective effect when rendering the image on top of another picture. For more information about this feature, click here. AspJpeg 2.5 can be downloaded from www.aspjpeg.com. Upgrading is free for registered users. Version 5.3 of our classic ASP and .NET mailing components features support for DomainKeys Identified Mail (DKIM), a method by which the sender digitally signs the email message to prove it really comes from the domain it claims it comes from. The recipient verifies the signature by obtaining the sender's public key from the domain's DNS records. For more information about DKIM, our mailing components' support for it, and to download the latest versions, visit www.aspemail.com. Upgrading is free. The new version adds a new property to the CryptoCert object: PublicKeyInfo. This property returns the underlying certificate's public key information in a format compatible with various cryptographic standards such as DomainKeys Identified Mail (DKIM), Privacy Enhanced Mail (PEM), and others. To download the latest version, please visit www.aspencrypt.com. A bug responsible for the incorrect rendering of non-ASCII characters in QR Code barcodes fixed. Includes several other performance improvements and minor bug fixes. For more information, and to download the latest releases, visit www.asppdf.com and www.asppdf.net. The new versions offer the method ValidateAddressMX which verifies if an email address actually exists by performing a DNS lookup of the MX records for the email domain and contacting the corresponding SMTP server directly. AspEmail 5.2 also offers the method ResetAddresses for additional convenience and to be consistent with AspEmail.NET. AspEmail.NET 5.2 also fixes several minor bugs in the EmailAgent.NET service. Upgrading is free. To download the latest versions, visit www.aspemail.com. To honor the all-important Wow6432 node in the system registry, we are announcing the Wow6432 Special Offer: buy the 64-bit license of AspUpload, AspJpeg, AspEmail or AspEncrypt and receive a 32-bit registration key for the same product absolutely free. Wow! This is a limited-time offer, so hurry! The new version is able to preserve ICC profiles in resized images via the new property PreserveICCProfile. To download the latest version, visit www.aspjpeg.com. AspEmail.NET 5.1.0.2077 accompanied by all-new EmailAgent.NET has now been officially released. EmailAgent.NET is the .NET version of the EmailAgent message queuing service that works in tandem with AspEmail and AspEmail.NET to send queued mail. Compared to EmailAgent, EmailAgent.NET supports multiple queues, up to 256 simultaneous SMTP sessions per queue, TLS, and improved logging. The configuration panel features a redesigned user interface. For more information on EmailAgent.NET, visit Chapter 4 of the AspEmail.NET user manual. EmailAgent.NET is the .NET version of the EmailAgent message queuing service that works in tandem with AspEmail to send queued mail. The new version offers many features you have been asking for. AspPDF 2.2 and AspPDF.NET 2.0 supporting the 128-bit Advanced Encryption Standard (AES) cipher have been released. AES is also known as Rijndael. Previous versions only supported the RC4 cipher. AspEmail.NET, AspEmail's native .NET counterpart, is now officially released! AspEmail.NET and AspEmail are almost entirely identical in terms of functionality, but the .NET version does not need to be registered on the web server: just place the assembly Persits.Email.dll in the /Bin directory of your application. AspEmail.NET's basic functionality is free. The premium features require a registration key. The evaluation copy of the component along with your free 30-day evaluation key can be obtained at www.aspemail.com. The new version implements image rotation by arbitrary angles. Previous versions only allowed 90- and 180-degree rotations. AspJpeg 2.3 can be downloaded from www.aspjpeg.com. Upgrading is free for registered users. The new version offers automatic printing functionality via the new method PdfPreview.SendToPrinter. It also fixes several major and minor bugs. For more information, and to download AspPDF 2.1, please visit www.asppdf.com. Upgrading is free for registered users. A service release for AspPDF.NET fixing several bugs has also been released. It can be downloaded from www.asppdf.net. AspEmail, our popular mail-sending component, now has a native .NET sibling, AspEmail.NET. The new component is almost entirely identical to AspEmail in terms of functionality and object reference. Please help us beta-test this new product. AspEmail.NET can be downloaded from www.aspemail.com. This web site now has a separate AspEmail.NET User Manual with C# and VB.NET code samples. We are looking forward to your bug reports and suggestions. An enhancement in the parsing module. An enhancement in the handling of CMYK images by ImportFromUrl method. An enhancement in the digital signing process. We have added support for the Transport Layer Security (TLS) protocol to AspEmail 5.1. The new version can now be used with all SMTP servers requiring TLS, such as Google's smtp.gmail.com. TLS encrypts all traffic between the email sender and SMTP server, including the authentication information (username/password), message headers, body and attachments. For more information about this much-requested feature, and to download AspEmail 5.1, please visit www.aspemail.com. The new version of XUpload fixes several bugs and issues, and also adds a new event to the XDownload control. For more information, and to download XUpload 3.2 please visit xupload.aspupload.com. The new version of AspEncrypt offers Hash-based Message Authentication Code (HMAC) support, ability to encrypt directly with a public key, and support for the PEM public-key format. For more information, and to download AspEncrypt 2.6, please visit www.aspencrypt.com. AspUpload 3.1 implements Ajax-based progress bar functionality. For more information, and to download AspUpload 3.1, please visit www.aspupload.com. Upgrading is free for registered users. In response to your numerous requests, we have added TLS support to AspEmail. The new version is now in beta. Please help us test this much-needed feature by going to www.aspemail.com and downloading AspEmail 5.1. AspEncrypt, one of Persits Software's oldest and most glorious products, had been lacking a modern user manual, so we mustered up our documentation-writing talents and wrote a new one! The new manual focuses on .NET and modern operating systems such as Windows 2008 and 7. It no longer concerns itself with obsolete features (such as 40-bit encryption) and comes with tons of new codes samples both in VB Script and C#. We have also added a few new features to AspEncrypt itself and released version 2.5. To see AspEncrypt's brand-new User Manual and to download AspEncrypt 2.5, please visit www.aspencrypt.com. For more information, and to download AspUpload 3.1 Beta, please visit www.aspupload.com. Upgrading is free for registered users. AspJpeg 2.2 implements 13 new high-quality image resizing algorithms in addition to the three standard ones already supported. For more information, and to download AspJpeg 2.2, please visit www.aspjpeg.com. Upgrading is free for registered users. AspPDF 2.0 implements PDF-to-Image conversion, a feature much-requested by our clients. For more information, and to download AspPDF 2.0, please visit www.asppdf.com. Upgrading is free for registered users. AspPDF 2.0 (Beta) with PDF-to-Image conversion functionality has been released. AspJpeg 2.1 is packed with new features, including PNG output, antialiased drawing routines, improved IPTC metadata management, enhanced text printing, 32-bit BMP support, Arabic ligature support, and more. AspJpeg 2.1 (now in beta) supports PNG output, antialised drawing and many other features. The new version of XUpload addresses the "cross-site scripting" issue in IE8, and also fixes several minor bugs. Upgrades are free for registered users. For more information, and to download the new version of XUpload, click here. The new version of AspEncrypt contains a number of enhancements in the CryptoBlob object, the ability to load certificate stores from memory, and other improvements. Upgrades are free for registered users. For more information, and to download the new version of AspEncrypt, click here. Our PDF management component for .NET is now officially released. We thank everybody who helped us test it. Please download your free 30-day evaluation copy here. AspPDF.NET is now officially in beta! Please help us test AspPDF.NET by downloading the free beta copy from here. We have finally ported our PDF management component to .NET! AspPDF.NET is 100% managed code, and its functionality and object model are virtually identical to that of AspPDF. While still under construction, AspPDF.NET's dedicated web site, www.asppdf.net, is now up and running. AspPDF 1.8 offers support for Acrobat 9 documents and two-dimensional barcodes. A complete list of new features can be found here. Upgrades are free for registered users. For more information, and to download AspPDF 1.8, visit www.asppdf.com. AspPDF 1.7 offers significantly improved and enhanced HTML-to-PDF functionality. A complete list of new features can be found here. Upgrades are free for registered users. For more information, and to download AspPDF 1.7, visit www.asppdf.com. AspJpeg 2.0 offers GIF output support with animation, transparency and palette management. Other new features include metadata editing and enhancements in drawing functionality. Upgrades are free for registered users. For more information, and to download AspJpeg 2.0, visit www.aspjpeg.com. AspJpeg 2.0 offers full GIF output support, metadata editing, and more. Permanent registration keys for the 64-bit versions of all our server components can now be purchased from their respective web sites. The 64-bit versions are sold separately and independently from their 32-bit counterparts. Your existing 32-bit keys cannot be used with the 64-bit versions. AspJpeg 1.9 is capable of transferring the Exif and IPTC metadata from an image to its thumbnails. Also, the PrintTextEx method is enhanced to return the height of text paragraphs it renders. For more information, and to download your free upgrade, visit www.aspjpeg.com. AspEmail 5.0.0.5 replaces all CR (ASCII 13) and LF (ASCII 10) characters in properties such as Subject, CharSet, Username and others with spaces to thwart "email header injection" attacks used by spammers. In addition to this important security improvement, AspEmail 5.0.0.5 offers Unicode support in the AddAttachment method, and other enhancements. Upgrades are free. Download the latest service release from www.aspemail.com. The native 64-bit versions of AspUpload, AspJpeg, AspPDF, AspEmail, AspEncrypt, AspGrid and AspUser are now available for testing. Download your free evaluation copies of the 64-bit beta components from their respective web sites. Please send your feedback to support@persits.com. AspJpeg 1.8 provides a new PrintTextEx method which supports high-quality anti-aliased text rendering, word wrapping and text alignment. Fonts are specified via their local file paths. The DrawPNG method is enhanced to support GIF format as well as PNG. For more information and to download your free upgrade, go to AspJpeg.com. AspJpeg 1.7 supports PNG alpha channel, brightness, contrast and saturation adjustment, and a new SaveUnique method. For more information and to download your free upgrade, go to AspJpeg.com. In addition to multiple bug fixes and new image and graphics-related features, AspPDF 1.6 offers an initial public-testing version of the OpenUrl method which converts HTML to PDF. For more information, and to download your free upgrade, visit www.asppdf.com. The long-awaited Unicode-enabled version of XUpload with download functionality has finally been released. A special low upgrade price is available for current XUpload users. For the user manual and live demos, and to download your copy of XUpload 3.0, please visit XUpload's new dedicated web site, xupload.aspupload.com. The new version of XUpload provides full Unicode support, internationalization of the user interface, file downloading, and more. AspJpeg 1.6 supports transparent GIFs, color replacement and the Sepia filter. For a new Sepia live demo, and to download your free upgrade, go to AspJpeg.com. Version 1.5 simplifies the task of drawing text and graphics over arbitrary PDF documents, and offers a method for easy text paragraph height computation. It also fixes a number of bugs. Download your free upgrade here. AspJpeg 1.5 supports CMYK-to-RGB conversion, image resolution management, read/write access to the individual pixels of an image, and progressive JPEGs. For more information, and to download your free upgrade, visit the AspJpeg.com web site. Version 1.4 enhances document stitching functionality to allow multiple interactive forms to be merged correctly. The new version also improves form fill-in functionality and outline support, and fixes minor bugs. Version 1.4 of our advanced image management component supports TIFF format and is capable of extracting metadata embedded in JPEG images by digital cameras and Photoshop. Other new features include grayscale conversion, anti-aliasing support and more. The new feature-rich AspJpeg has been given its own dedicated web site which contains a complete user manual with numerous code samples, an object reference, and a live demo section. For more information about AspJpeg 1.4, and to download your free upgrade, visit the AspJpeg.com site. Version 2.3 supports the Advanced Encryption Standard (AES) cipher also known as Rijndael. Also, the new version provides two new methods, EncryptTextWide and DecryptTextWide, to support encryption of Unicode strings. Version 1.3 provides CMYK color space support, and a new Doc.Close method for a finer control of file handles' lifespan. Version 1.2 offers page extraction functionality and HTML rendering speed improvement. Version 1.1 fully supports Tagged Image File Format (TIFF), including various color schemes and compression methods used by this popular digital imaging format. The new version also fixes a number of minor bugs. Version 1.0 of AspPDF has been released. Download your free 30-day evaluation version here. Beta 1 of our brand-new feature-packed PDF component has been released. Persits Software, Inc. has launched the web site www.asppdf.com dedicated to its brand-new product, AspPDF, which is an advanced PDF creation and management component. The web site contains a complete AspPDF user manual, object reference and live demo section. The new version of our cryptography component addresses an incompatibility issue with 128-bit RC2 keys on NT/2000 and XP/2003 platforms. Upgrades are free. For more information and to download AspEncrypt 2.2, visit the AspEncrypt.com site. AspPDF is our brand-new component which enables your ASP/ASP.NET application to generate, read and modify PDF documents on the fly. Currently under development, AspPDF is expected to be released later this year. A preview is now available in the form of several live demo applications demonstrating a few of this product's key features. The live demos can be viewed at support.persits.com/pdf. The new version supports the GIF format, enables drawing images on top of other images, and allows saving thumbnails directly in the database without creating temporary copies on disk. Upgrades are free. For more information, and to download AspJpeg 1.3, visit the AspJpeg page at AspUpload.com. AspEmail 5.0 offers a lot of new features you have been asking for, including full Unicode support and memory attachments. But most importantly, the new version comes with an all-new message queuing module which supports up to 64 simultaneous SMTP sessions, logging, CRAM-MD5 and NTLM authentication methods, automatic bounced-message handling, and much more. Download AspEmail 5.0 here. Upgrades are absolutely free for registered users. The AspEmail setup has been updated to include ready-to-run C# versions of all code samples, so that you can take advantage of AspEmail's unique features under the ASP.NET environment. Download the updated setup here. We have also added an article to our Knowledge Base site on using AspUpload under .NET, which includes several C# code samples as well. C# code samples for other products are coming out soon. The new version of our image resizing component is packed with features you have been asking for, including 90-degree image rotation, support for graphic formats other than JPEG, opening images directly from a database, typing and drawing, and more. Visit aspupload.com/aspjpeg.html for your free eval. Our client-side upload Java applet now supports Netscape 6.2. Upgrades are free. Visit aspupload.com/jupload.html for details. The new version of our industry-standard upload solution will offer a stunning HTML-based progress bar, ability to handle very large files (up to 2 GB in size), Unicode support, and tons of other new features. For a live demo, and to download your free 30-day eval of AspUpload 3.0, visit www.AspUpload.com. The new version offers full Challenge/Response (NTLM) support, improved RFC-1867 compliance and many other features you have been asking for. For details, click here. Upgrades are free for registered users. Download your XUpload 2.1 upgrade using your order number. A new "container-less" mode of operation has been introduced which dramatically improves performance and eliminates certain concurrency problems. Upgrades are free for registered users. For more information and to download AspEncrypt 2.1, visit www.aspencrypt.com. Version 3.1 of our feature-packed data-bound grid component has been released. In response to your numerous requests, we have added a new mode to AspGrid which enables a user to edit, save and delete multiple records at once. We also added support for pop-up calendars, and more. Visit www.aspgrid.com to see the live demo and download your free 30-day evaluation version of AspGrid 3.1. Search our new on-line library of technical articles at SUPPORT.PERSITS.COM and obtain resolutions to many common problems and errors instantly. Do a keyword search or simply view all available articles sorted by product. New articles are being added every day! Version 1.1 of our client-side upload Java applet has many new features and is free of certain limitations the previous version had. Visit aspupload.com/jupload.html to see a live demo and download your free evaluation version of JUpload 1.1. AspEmail 4.5 offers support for multipart/alternative messages. You can now set a text version of your message along with the HTML version to support email clients that are not HTML-enabled. Other features include NNTP authentication and the Timeout property. Download your free copy from www.aspemail.com. The new version of our JPEG thumbnail component offers image sharpening, cropping and flipping. Visit aspupload.com/aspjpeg.html for your free evaluation version.